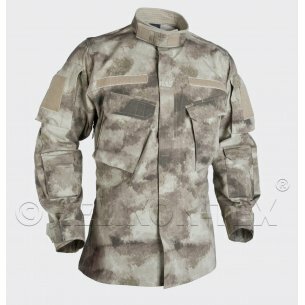 Jackets of the renowned manufacturer of men's clothing Helikon Tex®, is an indispensable element of a winter tactical, military, but also survival and outdoor wardrobe. The winter jacket of this company is characterized by functionality, durability and convenience. 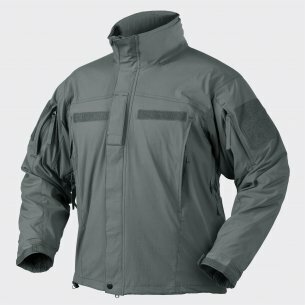 Jacket manufacturer Helikon tex® - what is the husky series? Husky jacket is an improved version of the previous series of winter jackets, Level 7. It is used by uniformed services: police, special services, army and other services. 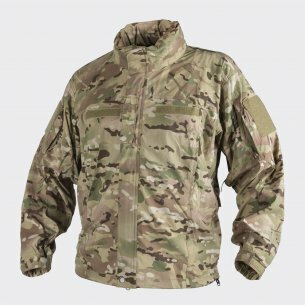 This is a military men's jacket, providing full protection against low temperatures and functionality during operational activities. Men's Husky jacket is equipped with three identification panels: they can be modified, unveiled or hidden, depending on their needs. An important facilitation for employees of uniformed services is the Quick Side Access ™ option, which allows you to extract and hide weapons and other equipment located at the waist, quickly and without any problems. This system allows you to open the side zip with a quick, smooth movement. The jacket also has inside pockets in which the most important documents can be stored. Helikon Tex Husky jacket is also equipped with a hood, compatible with the helmet. The hood can be hidden or pulled out, depending on the situation. Men's winter jacket Helikon also has two side pockets, additionally equipped with baffles for storage of all electronic devices. The Helikon tex Husky jacket can be easily compressed and transported. Camouflage in Alpha Green coloring. The Husky winter jacket can be used as a winter jacket for a variety of purposes. Ideally suited as outdoor clothing, in winter conditions. 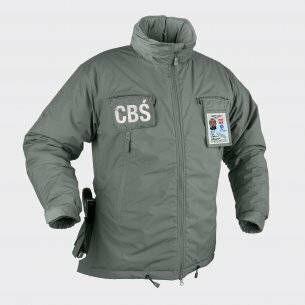 This jacket will also be used as a protective and survival clothing during the journey. 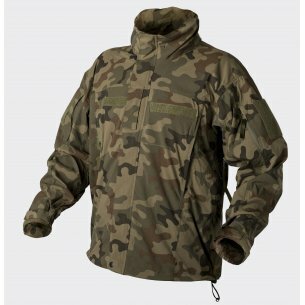 The Helikon Husky jacket is made in a way that guarantees comfort, protection and comfort in difficult conditions. Men's winter jacket Helikon is made of nylon shell, waterproof material 100% Nylon Climashield® Apex ™ with Ripstop weave structure. The inner surface of the hood, high collar and two outer pockets is lined with fleece. Polar provides protection against the cold, even in the event of moisture. This material has great thermal insulation properties and is also durable. The cuffs are equipped with velcro, adjustable. The puller with stopper at the bottom of the jacket allows you to adjust the tightness also in the lower part. Thanks to YKK® zippers, the jacket is very tight and guarantees the right quality of protection against cold, wind and moisture: it protects both the user and all accessories carried by him. set collar padded with a fleece, provided with a chin protector and hood (with the possibility of storing).